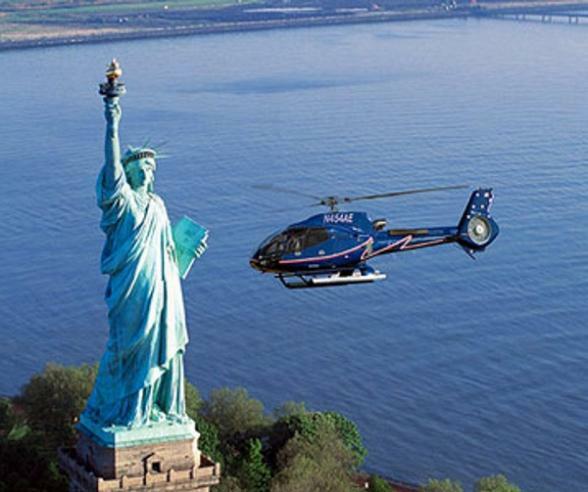 Experience the thrill of a helicopter ride while flying over the famous Hudson River viewing Downtown Manhattans Financial District, Ellis & Governors Islands along with the many other awesome sights that the New York City Skyline has to offer. 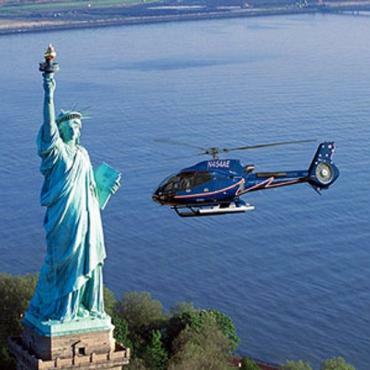 As you return to the heliport you will view the world famous Statue of Liberty in all of her glory. This quick but jam packed tour is sure to stimulate the senses and will provide you with a new appreciation of just how vast New York City is. Sorry! This special offer discounted ticket is only available for 2009 departures. Please refer to ticket below for 2010 departures. Please note a mandatory $2.50 Heliport Security Fee will be payable at heliport and from 1 May 2008 onwards an additional $30 Passenger Handling Fee will be payable at the heliport. Please note during busy periods there is limited capacity at the Downtown heliport. PLEASE NOTE - this tour will only operate from the Downtown Manhattan Heliport located at Pier 6 and the East River and will go south down the Hudson River to the Statue of Liberty. Operates DAILY from the Downtown heliport. All passengers flying MUST be 3 yrs and over. Prices from £76.00 per person (No child reductions).